Launched off the back of the success of Hull as UK City of Culture 2017 the CDF hopes to capitalise on the model of partnerships between culture and business developed there. Hull, the DCMS says, ‘provided further evidence of how targeted investment in culture can deliver a significant economic boost to an area, with over £3bn of investment and more than 800 new jobs created in the city in the four years since it was awarded the title in 2013’. The Culture Secretary confirmed the new funding as part of a speech in Coventry today – the next UK City of Culture in 2021 – on the value of culture to the individual, communities and the nation as a whole. DCMS says the investment ‘will support economic growth and create more than 1,300 new jobs across the country, benefit 2,000 people through skills training, and support more than 700 businesses’. Through match-funding, an additional £17.5 million will be invested across the five locations. 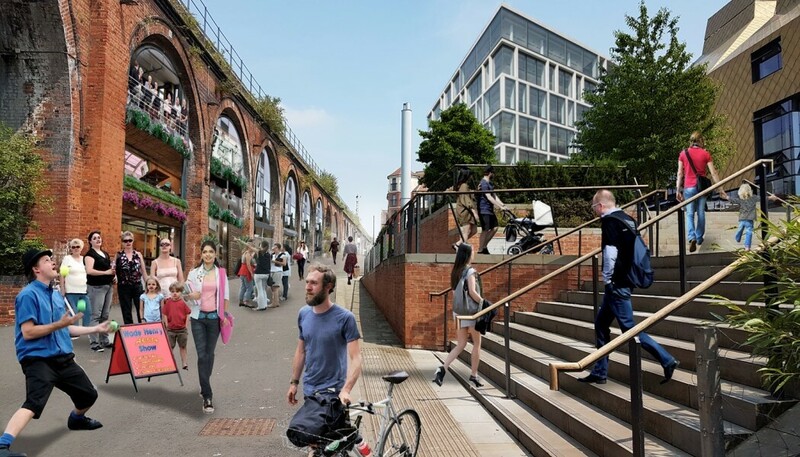 For example in Worcester, which received £3m to regenerate its railway arches into cultural and business spaces, the funding bid was prepared by Worcester Cultural Partnership, which has pledged to match the award with a further £1.5m. The partnership is led by Worcester City Council, which has worked with the University of Worcester, The Hive, Severn Arts, Network Rail, Worcestershire Arts Partnership, Worcestershire County Council and businesses already occupying some of the arches. In the first government investment of its kind the five areas will use the funding on local cultural plans which are tailored to the strengths and needs of each area. This funding forms part of the Creative Industries Sector Deal to help the country’s world-leading cultural and creative businesses thrive. The CDF has been launched by the Government to use investment in heritage, culture and creativity as a catalyst for regeneration. Each area has designed plans, listed left, to strengthen the local arts sector, increase cultural access and provide greater opportunity for people to forge creative careers. The CDF, announced in the Creative Industries Sector Deal last year, ‘marks a step change in how the Government is investing in culture’ says the DCMS. It aims to increase access to arts, heritage and the creative industries while also boosting the local economy by attracting more visitors to each area and supporting the growth of new businesses. The CDF is part of the Government’s modern Industrial Strategy which has seen more than £150m jointly invested by Government and industry through the creative industries sector deal to help cultural and creative businesses across Britain thrive and consolidate the country’s position as a global creative and cultural powerhouse.